We inform you about current developments in qualitative online research and our company news 3-4 times a year. Register now, to receive our free newsletter. 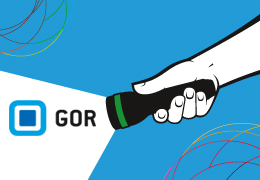 This year, at the GOR conference, we introduce our new method, Spotlight Test. 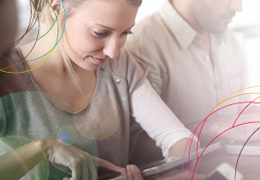 The aim of the innovative, explorative approach is to support the creative departments in agencies and to bring to life product categories and target groups with qualitative data. The compact study design (e.g. associative, creative tasks and mobile diaries) provides inspiring insights into the daily lives of consumers in order to identify points of entry for communication and advertising initiatives. At the beginning of the year, we conducted a study on two different product categories. Selected results and learnings will be presented on Thursday, March 7 at 10:45 in Cologne (Session A12 / Room 154). 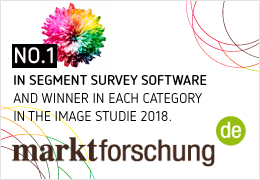 At the end of October the results of the "Image Study Market Research Service 2018" in the field of survey software were published by marktforschung.de and we are very pleased about the repeated very good rating: On the german site marktforschung.de it says "clear winner based on the ratings of market researchers working in institutes is KERNWERT. The company is the winner in all seven categories and mostly even scores the best rating." In the past image study in 2015, we were already able to achieve Top 3 ranking in all categories. Many thanks to our customers and partners for these positive reviews and the trustful cooperation. This is a wonderful confirmation of our work, which makes us proud, but above all motivates us for the years to come. The following categories were examined: Net Promoter Score, service orientation (consulting & support), innovation & creativity, value for money, functionality, usability / handling for researchers and optics / design for respondents. All details about the image study can be found here. This year the annual branch meeting will take place on 24th and 25th of October. As in recent years, we will be presenting our new developments at our booth (hall 1 / 172). Just drop by our stand or make an appointment. We look forward to seeing you there! 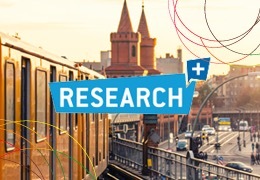 The 4th Research plus Berlin will take place on 18th of October. Our colleague Sophie Vogt will present selected results of an online exploration about Remote Workers which we conducted earlier this year. There are 3 other presentations on online research, by Sebastian McClintock (Delivery Hero), Janna Lipenkova (Anacode) and Christin Schäfer (acs plus). At this year's Berliner Methodentreffen, we will present the qualitative online study on Remote Worker, which we conducted at the beginning of the year. We will also have a booth at the trade fair. 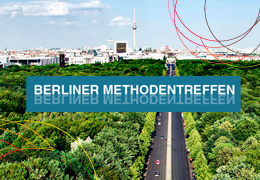 The 14th Berliner Methodentreffen will take place on 27th and 28th of July at the Freie Universität Berlin, it is the largest event in the field of qualitative research in the German-speaking world. We are looking forward to seeing you at our stand. Details about the event can be found here (in German). Earlier this year we conducted a qualitative online study with 33 remote workers, to better understand the context and characteristics of this increasingly important work model. Our study consisted of mobile pretasks and online focus groups: The participants gave us insights into their job life and discussed their experiences with Remote Work. Some first results are going to be presented at the GOR (General Online Research) conference in Cologne (March 2nd at 2.15 pm - track B). For version 10 of our software, we completely revised the design of the administration level and further adapted the navigation to the project workflow. In addition, we optimized the administration for the mobile use via tablet, so that you can now moderate and control your study on the go. Also in the area of evaluation, a lot has happened: We have developed an automatic analysis of the results for all tools of our Touch Tool Collection (e.g. card sorting, ranking, scales) – for a fast overview of structured and closed questions with a direct export for the use in presentations. The new version will be available for our clients in all new projects from now on. We will be happy to show you the changes in detail – personally or via web meeting. Please just contact us in order to schedule a meeting. This year the annual branch meeting will take place on 25th and 26th of October. 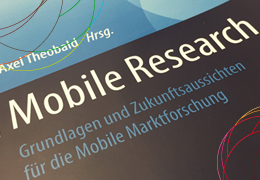 We will be at the event again with our own stand (hall 1 / 172) and an exciting workshop about qualitative online and mobile research. At this year's Berliner Methodentreffen, we will present the qualitative online study on AfD sympathizers, which we conducted together with pollytix strategic research at the beginning of the year. We will also have a booth at the trade fair. 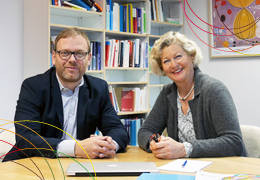 The 13th Berliner Methodentreffen will take place on 21st and 22nd of July at the Freie Universität Berlin, it is the largest event in the field of qualitative research in the German-speaking world. 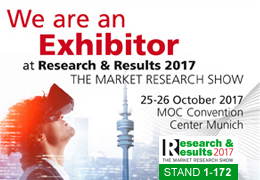 We are looking forward to seeing you at our stand. Details about the event can be found here (in German). Since June we have been working with one of the most modern data centers in Germany, offering our customers an even more powerful, faster and more secure infrastructure for their projects. The new data center is certified according to "ISO / IEC 27001" and "Trust in Cloud Infrastructure". 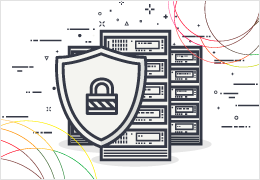 The “ISO 27001” is an internationally recognised standard for information security which takes into account aspects like data security, data protection and system stability. 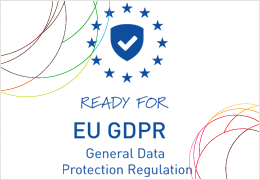 The server location will continue to be solely in Germany, whereby the implementation of the European data protection laws will be preserved. 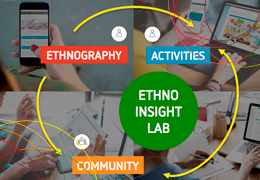 In a professional article for the industry portal marktforschung.de Ruth Wakenhut and Sophie Vogt present our method "Ethno Insight Lab" and some results of a qualitative online study on AfD sympathizers. At the beginning of the year, we conducted this study together with pollytix strategic research, a Berlin based agency specialising in public opinion research. You can read the entire article here (in German). 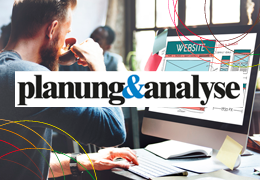 In the current issue of the magazine "Planung & Analyse" (1/2017), Ruth Wakenhut and Dirk Wieseke present possible applications of moderated remote usability tests in qualitative online studies. You can find the complete article (in german) here. If you would like to know more about the tests, please feel free to contact our team. In collaboration with the pollytix strategic research company, we’ve conducted a qualitative online study exploring lifestyle and attitudes of potential populist voters. The study was conducted over a period of 2 weeks and included ethnographic components as well as creative tasks and group discussions, the participants were recruited via an online access panel (respondi AG Cologne). 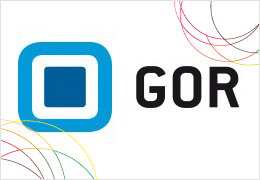 Results and implications are going to be presented at the GOR (General Online Research) conference in Berlin on March 16th at 10:45 AM. 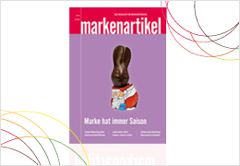 In the current issue of the German journal about branding „markenartikel“ (12/2016) Lara Wielspütz (HTW Berlin) and our colleague Anja Alburg present the study „curated shopping for the target group 50+“. Within the scope of the qualitative online study potentials and recommendations for the design and marketing of curated shopping have been examined. The study was carried out by Lara Wielspütz, KERNWERT accompanied and supported the study with methodical advice and the research software. We are continuing to expand our consulting team: Since July 2016 Sophie Vogt strengthens our team as an online research consultant. After working as a junior analyst at the Austrian market and motivational research institute comrecon, she was most recently active as a study and project manager at the online market research institute Marketagent.com. 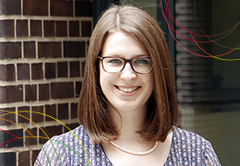 In our team she supports qualitative market researchers in planning and setting up online and mobile studies. How do Webcam Focus groups work, what do I need to consider when planning my first qualitative online project and which creative tools and methods may I use? Those and further questions we will discuss in our new webinars. 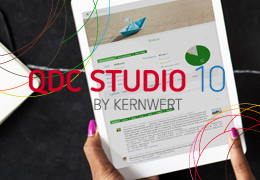 We have great news for all clients who use QDA software – or would like to do so: Together with VERBI Software GmbH, provider of MAXQDA, one of the world's leading software programs for qualitative data analysis, we have created a new interface between our programs. Through this cooperation, for the first time a seamless transition between programs for qualitative data collection and data analysis is possible. We are very pleased to be able to provide our customers with a comfortable access to comprehensive data analysis support – in addition to the existing tools on our platform - and to respond to the often-expressed wish for a transition to QDA software.